Books are like M & M's to me...can never have enough! I am giving away a $10 Amazon Gift Card, and you can choose your own book! Just fill out the rafflecopter! Good Luck!!! July 1948. As Britain recovers from WWII, Annie Royal is looking to the future. Recently married to Henry, and with a baby on the way, she and her new husband are happily settled in the seaside town of Worthing. But a knock at the door brings Annie’s world crashing down. On her doorstep stands Sarah and her two young children. As they talk, Sarah reveals that she is Henry’s wife – and she has been searching for him since he walked out on their family a year ago. Struggling to believe what she’s hearing, Annie is forced to accept the truth when Henry is arrested for bigamy. Alone, with no one to support her, and with the baby due to arrive imminently, Annie must look to the most unlikely of places to find support in her darkest hour. She has been a member of West Sussex Writers’ Club since 1987, my first novel, There’s Always Tomorrow, was in fact the winner in the Day for Writers’ novel opening competition. It was bought by HarperCollins Avon and the rest, as they say, is history! 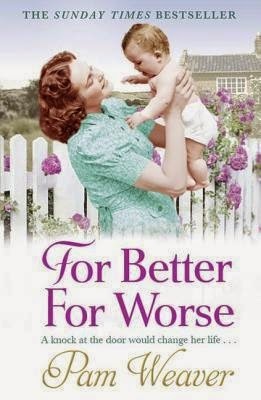 or Better or Worse sure made me think, and refreshed my memories of things I had been told about the world coming out of WWII. We meet egotistical Henry Royal/Royale who seems to love himself more than anything or anyone. He has charm to make women do his bidding, and he wants for nothing. Until?? His world comes crashing down, will he up for the fight as it seems he believes life owes him and everything is his due. He has left ravished families in his wake, and hurt little children, all because he only wants one thing, and if he doesn’t get it, oh well, to anyone who gets in his way. The women he has victimized seem to be very strong, and appear to be landing on their feet, in his aftermath. There are surprises galore in this book, some will make you chuckle and others will have you in tears. I never saw a lot of what happens coming, and sure was surprised. I know that people put in mental hospitals that once they were committed they were there until someone signed them out. One law that I’m glad has changed, and the out come of this one will warm your heart. Right until the last page of this terrific read, you are kept spell bound, and page turning, I had to learn what happens, especially to the villain of this story, Henry! If you pick up one read this year, this one will keep you reading. I really enjoyed it! I received this book through Edelweiss and the Publisher HarperCollins, and was not required to give a positive review. Addyson Marten must travel a magical labyrinth to its center in order to reach her friend Connor and free him from the witch of the Median Realms. Both Connor and Addy must learn to use their own magical abilities to fight the growing evil in the Human and Fairy worlds. 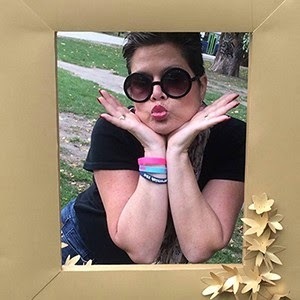 Theresa Wallace-Pregent lives with her husband and four talented children in Ontario, Canada. 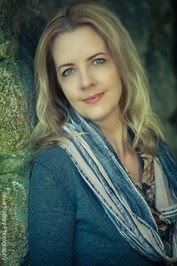 Her young adult fantasy novel Under a Fairy Moon was a finalist in the Amazon Break-through Novel Awards in 2010 and was published by Brownridge Publishing in the summer of 2011. In 2012, Under a Fairy Moon won the Gelett Burgess Children’s Book Award for Fantasy and the Canadian Christian Writing Awards (Young Adult.) Her sequel to Under A Fairy Moon will be published in the Fall of 2014. 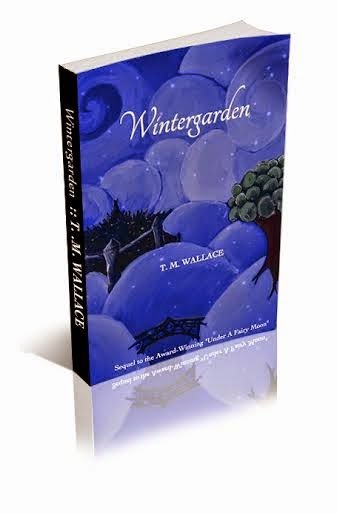 Her latest book is the YA/Children’s fantasy, Wintergarden. Connect with T.M. Wallace on Twitter. Find out more about T.M. at Goodreads. More books by T.M. Wallace. 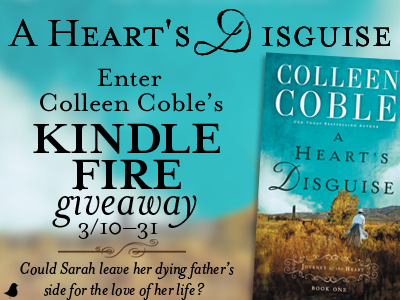 The Civil War has destroyed Sarah Montgomery's marriage before it's even begun. After Sarah receives word that her fiance, Rand Campbell, has been killed fighting for the Union, her brothers and ailing father persuade her to pledge herself to Ben Croftner--despite her strong misgivings. But when Sarah finds out that Rand is in fact alive--and that Ben Croftner knew it--she indignantly breaks off the engagement and goes in search of Rand. But Ben Croftner does not take rejection lightly--and a single woman with a sick father makes an easy target. When Sarah is abducted by her treacherous fiance, Rand finally comes to her aid . . . only to reveal that he has been posted at Fort Laramie, Wyoming, and intends to take her there as his wife. But could Sarah leave her dying father's side for the love of her life? And what plans are forming in the jealous heart of Ben Croftner? Can you imagine living though the Civil War and learning that your fiancé is dead, never to return. This is what happened to Sarah Montgomery, and she may never get over her loss. Life must go on, and her father is not about to live much longer, she lives with her brother and his wife, and they all want her to marry a well to do survivor of the horrible war. Ben Croftner appears to be a man that gets what he wants and no one had better to get in his way. This is the man her family wants her to marry, and why not she is not happy and life has been so hard since she lost her Rand. Can you imagine the surprise when Rand reappears and is shocked to find out that Sarah has not waited for him? He thought she loved him, as he still loves her, but now she is engaged to marry Ben? He knows that Ben knew he was alive, so how could this be possible. He had even sent a letter with Ben to give to Sarah. Um, I bet you can guess that Ben is not a very nice man, and he goes on to prove it again, and again, the deeper we get into the book. With the end of this page-turning book we are left up in the air, and I need to know what is going to happen. Rand is on his way to report to Fort Laramie, and he is alone. Thank goodness there is more to come, and I can hardly wait for answers. Thank you Colleen Coble, I love this story! 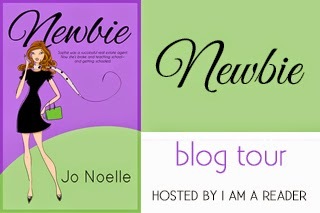 Newbie by Jo Noelle The housing market is crashing, and Sophie’s life is crashing with it. At twenty-four, her successful real estate career evaporates. She’s broke, can’t find a job, or pay her bills, leaving Sophie wondering how her successful lifestyle became so fragile. At the urging of her roommate, Sophie accepts a job in her fallback career—teaching six-year-olds. She hopes it’s temporary. After all, how long can a tanking economy last anyway? The best part of the new job is Liam, another employee at Rio Grande Elementary. The worst part of the new job is, well, teaching. Sophie has a surprise real estate closing from a contract she wrote months ago, leading her to a niche in the real estate market and to a new partner, Kevin. Sophie must choose between Liam or Kevin and between a lucrative career or recess duty. Praise for Newbie Loved this story. I thought it was crisp and funny. Sophie has a great character arch as she goes from the Real Estate world to a classroom of 1st graders. Love Liam. He is a nice breath of fresh air. He and Sophie's interactions kept me laughing and wanting more. I HIGHLY recommend this novel! ~ Author Sherry Gammon In recent years I've become addicted to Sophie Kinsella's books. This book reminded me of hers, only cleaner, which I appreciated! It was sweet and witty. Definitely had me laughing out loud. Loved the ending :) ~Goodreads Review I loved this book! I especially have a tender spot for books with children in them and this story about Sophie being "forced" to teach when the real estate market does so poorly captured my heart. The characters were warm and lovable, the story was fun and I enjoyed every minute of the book. ~Phyllis I loved NEWBIE. Sophie's inner thoughts are a delight. She just makes me smile. 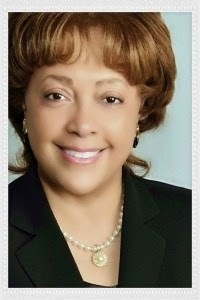 Her journey as a newbie teacher is real and touching.~Donna Weaver. Author Jo Noelle Jo Noelle grew up in Colorado and Utah but also spent time in Idaho and California. She has two adult children and three small kids. She teaches teachers and students about reading and writing, grows freakishly large tomatoes, enjoys cooking especially for desserts, builds furniture, sews beautiful dresses, and likes to go hiking in the nearby mountains. Oh, and by the way, she’s two people— Canda Mortensen and Deanna Henderson, a mother/daughter writing team. They began writing separately several years ago but found the process much more fun when they started collaborating. They are debut authors, with Lexi’s Pathetic Fictional Love Life as their first completed work. Other titles include Newbie and Damnation. Deanna attended college before marrying and starting her family. Canda received a Bachelor’s degree in Elementary Education, a Reading Specialist endorsement, and a Master’s degree in Educational Leadership. Her day job focuses on teaching teachers and children about literacy. As we open this book, Sophie has been riding high on the real estate market, but all is crashing down before her, and she looses her job. We look at her checkbook, and she needs a new roommate to help make ends meet, and she needs a job. I found it delightful to read about the new roommate and what happens, but love the new job, and of course the characters that made it feel so real. Some are so nice and others you would love to shake. Who would intentionally sabotage a children’s party? Yes, she ends up teaching first grade, and feels she is over her head, but help is on the way, and love those who rally around her. She has major decisions to make on her life, and enjoy how she deals with people who can’t understand the word “No”. So very funny. She handles herself very well! There is a bit of romance, misunderstandings, drama, and other real life happenings here. A really fun read, that makes you keep turning the pages to find out what is going to happen next. Enjoy! I received this book I Am A Reader Not A Writer Blog Tours, and was not required to give a positive review. 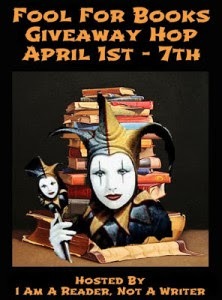 Blog Tour Giveaway $25 Amazon Gift Card or Paypal Cash Ends 4/6/15 Open only to those who can legally enter, receive and use an Amazon.com Gift Code or Paypal Cash. Winning Entry will be verified prior to prize being awarded. No purchase necessary. You must be 18 or older to enter or have your parent enter for you. The winner will be chosen by rafflecopter and announced here as well as emailed and will have 48 hours to respond or a new winner will be chosen. This giveaway is in no way associated with Facebook, Twitter, Rafflecopter or any other entity unless otherwise specified. The number of eligible entries received determines the odds of winning. Giveaway was organized by Kathy from I Am A Reader and sponsored by the author. VOID WHERE PROHIBITED BY LAW. It’s springtime in Lancaster, Pennsylvania and Drusilla Riehl has just turned eighteen. While she’s attended youth gatherings and singings in the past, something feels just a little bit different now. As the eldest child, she has a lot of responsibilities, especially with her aging grandparents living in the smaller house attached to the Riehls’ farmhouse and with Drusilla's mother expecting a baby soon. 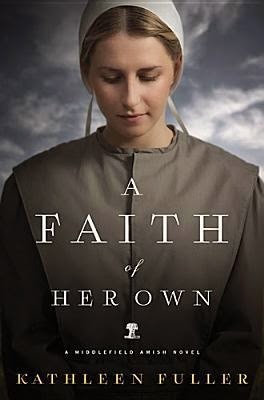 Follow the story of this young Amish woman as she comes of age in the springtime of her life, balancing her commitment to faith, family, and friends. 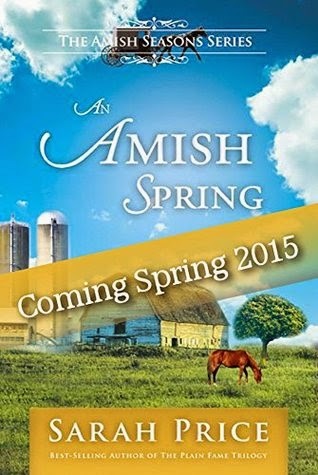 The Amish Seasons Series follows the story of Drusilla Riehl as she passes through the seasons of life. The first of a four book series, An Amish Spring introduces readers to the Riehl family and their community, both Amish and Mennonite, and will be sure to delight as you learn more about the Amish religion and culture from Sarah Price, one of the leading bestselling authors of Amish Christian fiction who bases her stories and books on authentic experience growing up Mennonite and living among the Amish. We begin this book delving into the lives of the Riehl family, and in particular Drusilla. This is an Amish family living in the Lancaster, Pennsylvania area, and we are going to be following this family as they go about their everyday life. We follow Drusilla as she helps her father with haying, barn chores, and then helping her mother with housework, laundry and baking. We also go with Drusilla while she visits with her cousins and best friends and twins Miriam and Namoi. We go to church services, and gathering and singings, along with barn raisings etc., all part of their life. Drusilla has just turned eighteen and is the eldest child in her family, along with being the oldest comes a lot responsibility, including helping her very pregnant mother. A very entertaining read, and I hated it to end, but I know there are more books to come in this series. We also meet Drusilla’s sister Hannah who is ready to sprout her wings; she really gives her mom a hard time, but loved how she pulled back when her dad was near. Also wait until you meet what is probably a new love interest Caleb, and how she ends up owing him. So sweet! 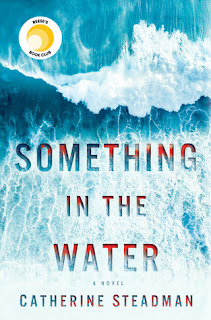 Don’t miss this great book, and the start of another amazing series by Sarah Price. You won’t be disappointed! I received this book through the Author, and was not required to give a positive review. 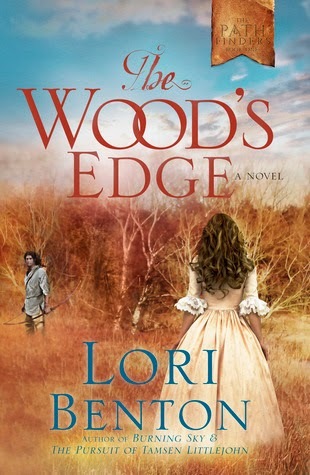 When the long buried truth comes to light, can an unlikely friendship forged at the wood's edge provide a way forward? For a father tormented by fear of judgment, another by lust for vengeance. For a mother still grieving her lost child. For a brother who feels his twin's absence, another unaware of his twin's existence. And for Anna, who loves them both--Two Hawks, the mysterious Oneida boy she meets in secret, and William, her brother. As paths long divided collide, how will God direct the feet of those who follow Him? Lori Benton was born and raised east of the Appalachian Mountains, surrounded by early American and family history going back to the 1600s. Her novels transport readers to the 18th century, where she brings to life the Colonial and early Federal periods of American history, creating a melting pot of characters drawn from both sides of a turbulent and shifting frontier, brought together in the bonds of God's transforming grace. When she isn’t writing, reading, or researching 18th century history, Lori enjoys exploring the mountains with her husband. Burning Sky, Lori's debut novel, was a finalist for the ECPA 2014 Christian Book Award, and winner of the 2014 Christy Award for First Novel, Historical, and Book of the Year. When I picked up this book, I realized that the setting is really my back yard. I grew up in Schenectady and now live up near Oneida NY on a farm, we have Iroquois burning pits on the back part of our land. So interesting! The heart of this story is the distraught father, making a life changing, heart wrenching decision that changes the lives of many people. He takes his new born dead son and switches his body for a live baby that another woman had just give birth to. This woman is a white woman was married to an Indian, and one of her twin boys was white and the other favored his father. This man pays a heavy price for his theft, but he loves the child and you find him trying to be a good father to both him and the little girl he rescued. The person who will find distasteful is the mother, who is really in the dark about the son she loves, but her treatment of Anna Catherine is not very nice. If she only knew, but I guess that wouldn’t have a happy ending either. This book is packed with history about the founding of our Nation and those who were pro the Crown and those who were Patriots. The author has made these characters so real, with flaws we all have, but for the Grace of God. Love the finding of Faith of these people, filled with surprises how God works in their lives, and how they come to him. This book has it all, including a bit of romance, fighting, healing, and the founding of the USA. I loved this read, and even at the end, I did want more, and there could be more answers here. They say that what you don't know can't hurt you. They're wrong. David Dryden, pastor of a high-profile church in London, is admired for his emphasis on the Christian family. But all is not well in his own family. He and his wife, Fiona, have been glossing over his son Colom's erratic behavior. Then, when a commitment to die is discovered in Colom's room after the suicide of a school friend, David finds himself out of his depth--and Fiona, in panic, takes Colom and flees. A wonderful, intelligent, and searching novel about the toxic nature of secrets, and the possibility of starting again. Gerard Kelly is a writer, speaker and poet and a co-founder, with his wife Chrissie, of The Bless Network. Bless works alongside churches in the UK, France, The Netherlands, Croatia and Spain, empowering young people 'to encounter the God of mission and find their place in the mission of God'. 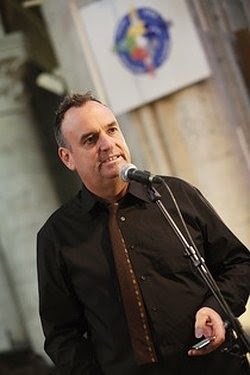 A member of the 'Theme Group' of Spring Harvest, Europe's largest Christian teaching event and formerly Pastor of Crossroads International Church in Amsterdam, Gerard currently lives in Normandy, France, where he and Chrissie are developing a centre for missional formation. What a heart wrenching read, people in denial, a mother desperate for help. Where do you go, who do you turn to, she needs to save her son’s life. This is now a sweet romantic book, it deals with a very tough subject, and pray we are never are put in this position. The author has developed these characters so well, they are so real, and could be any one. A mother so desperate to save the life of her son, a son with recurring nightmares that has him suicidal? There is Fiona the Mom, David Dryden, the high profile pastor, and the troubled teenage son Colom. I had problems with David, he works at promoting the Christian family, and his is crumbling. Will he wake up in time, he walks a fine line between his work and his own family. As the story moved along the bombshells began to fall as we tried to get to the bottom of what is going on. I never saw most of it coming, and a lot was very shocking. We find the harm these family secrets are causing, what can happen next, what will be revealed? Through it all the back of your mind keeps asking if we will be in time, and if there will a break through. You won’t regret picking this book up, come travel with these people as they look for answers, and we travel from one country to another. 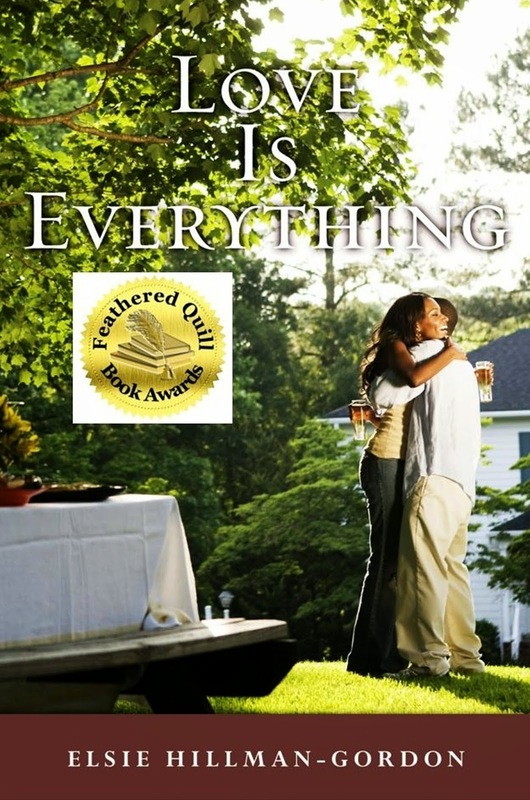 Can Anna Mae heed God's call on her life, even if it means leaving behind everything she knows . . . and everyone she loves? Ever since Anna Mae's childhood friend Jeremiah left their Amish community, she's questioned her own place in the Amish world. The Amish life feels as if it's closing in on her, and with her mother trying to set her up with potential suitors, Anna Mae feels trapped in a life she's not sure she wants anymore. But she's never told anyone that she longs for a tiny taste of freedom--freedom that could be very costly. When Jeremiah suddenly reappears in Middlefield to help his mentor, Yankee veterinarian Dr. Miller, new questions surface for Anna Mae, along with feelings she'd never fully acknowledged before. As Anna Mae and Jeremiah rekindle their friendship, old feelings take on new meaning. Yet the question still lingers: What is God's plan for her life? Should she stay, keeping loyal to her Amish family, or does God have a bigger plan--one that provides more freedom than she could imagine? The answers do not come easily, and the answer to God's call may lie in different directions . . . for both of them. Kathleen was born in New Orleans, Louisiana, grew up in Little Rock, Arkansas, and now make my home in beautiful Geneva, Ohio. I’ve been married to James for 15 wonderful years (really, they have been wonderful!) We have three terrific children, three dogs, and an overwhelmed cat. We have also raised cattle, pigs, and chickens at various times over the years. We would have gone into the goat business, but I had to draw the line somewhere. I started writing in 2000, and published my first short story a year later. Since then I have authored several short stories, novellas, novels, and have done a lot of freelance non-fiction work. I have also worked as an editor. I have a Masters degree in Special Education, emphasis on teaching the blind and visually impaired, and a Bachelors in Early Childhood/Elementary Education. I have taught all age groups ranging from age 4 to age 18. A few of my favorite things: my relationship with Christ, chocolate (of course! ), autumn, a satisfying book, good friends, a sense of humor, people who don’t take themselves seriously, haunting melodies, NFL football, and did I mention chocolate? We are back in Middlefield and in the lives of teenage friends who are now adults. There are at least three romances going on here, and one of them is having a love hate one. Bekah and Caleb were friends as growing up, but the usual stunts and pranks of teenagers. 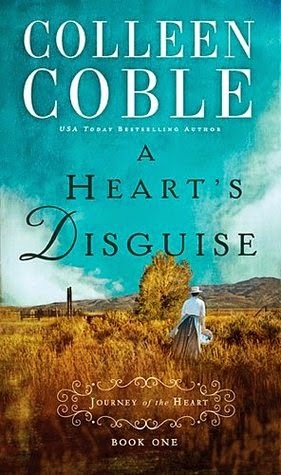 When the book opens they appear to really dislike one another, Caleb busy on his horse farm, and Bekah helping her sister, she is married to Caleb’s brother. Then we have Judith, a widow, and David an Amish man whose wife left him, and seems to always be in a bad mood. He is the father of Jeremiah, a former Amish and now a new Veterinary. Before he left he had been in a relationship with Anna Mae, but left her with out so much as a goodbye. You are in for an in-depth look at the lives of these people, their ups and downs and a few really good laughs. Some very serious situations arise and the call to help goes out, will this bring everyone closer, or drive the final nail? Will Bekah and Caleb see what is right before their eyes, or continue their hurtful journey against one another? Will Jeremiah stay in Middlefield, and become an item with Anna Mae, or at least become friends again? Also will David finally forgive his wife, and maybe welcome a new relationship with Judith? Another great read from Kathleen Fuller and a return to Middlefield where her series the Secrets of Middlefield series was set, and a visit with some of our old friends. I received this book through Net Galley and the Publisher Thomas Nelson, and was not required to give a positive review. Do you like to read inspirational fiction? Do you believe that people who have loved and lost can find true love again, that a hurting heart can heal, and that God’s love will see you through difficult times? If so, you’ll enjoy reading Love Is Everything. It’s the story of thirty-five year old Vanessa Dennison—a woman struggling to find joy in life and doubting her faith in God after losing her parents in a tragic accident. But after reluctantly accepting a blind date with Elliott Reeves, a handsome widower with a strong faith and young daughter, she embraces anew her relationship with God and the power of love. Sweet and emotional, this tale of rediscovering love, faith, and hope is sure to touch your heart. 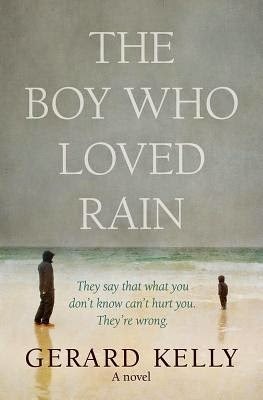 It’s a must read for anyone who’s ever loved and lost, especially those still reluctant to take a chance on love. 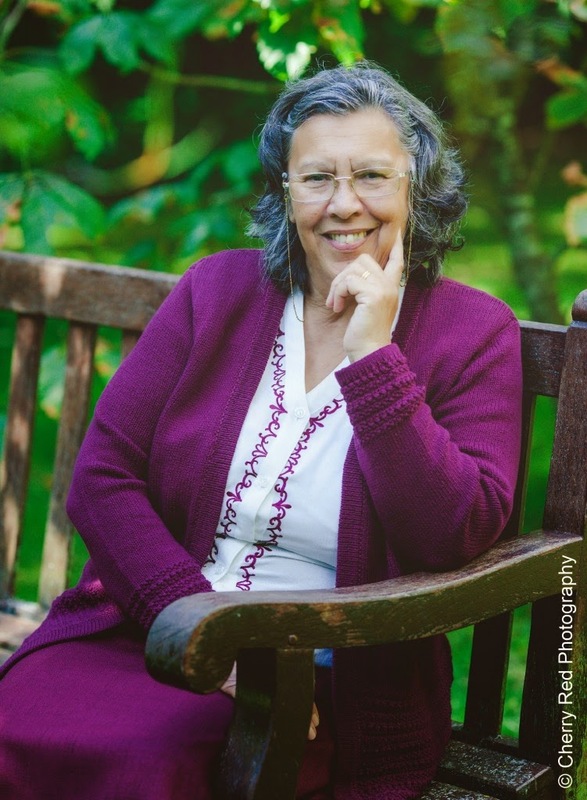 Award-winning author Elsie Hillman-Gordon published her first fiction novella, Love Is Everything, in May 2014. Her book received the Gold/1st Place award for *Best Short Story* in the 2015 Feathered Quill Book Awards Program. Elsie lives in Washington, DC with her husband. She holds a BA in English and executive graduate certificates in editorial practices and marketing. She has worked for several media organizations, including NPR. In her free time, she stays busy supporting community outreach projects sponsored through her sorority, church, and non-profit organizations. Elsie’s passion is creative writing, but she also enjoys live theater, movies, reading, and long walks on autumn days. She believes in random acts of kindness and encouraging people to reach for their dreams. 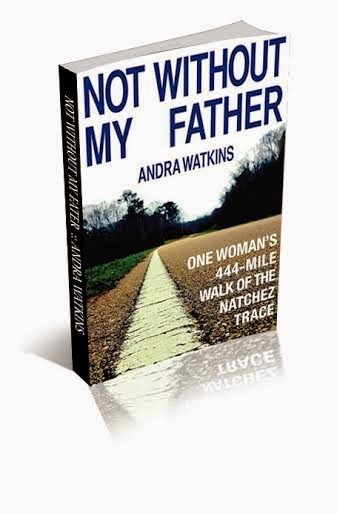 Not Without My Father: One Woman’s 444 Mile Walk of the Natchez Trace is available at Amazon. I wandered along the sloping veranda to the front house. Miss Ethel’s house. Crickets chirped a symphony in the garden. Through a portal of wavy glass, I spied on my father. His balloon stomach strained the integrity of a wooden side chair in Miss Ethel’s den. If I shifted to the left, I glimpsed her helmet of light brown hair bobbing over the back of the sofa. I could identify his stories by the hand gestures he used. Acres of Biscuits bled into Hot Shot to become the ridiculous Butter- bean Song. Her question pushed me into a chair along the far wall. How many months had I thought about walking the Trace? Five? Ten? Four days a week for three months, I trained near my Charleston, South Carolina home. I trudged across the concrete bridge that spanned Charleston’s harbor and pounded my feet into the pavement of the West Ashley Greenway. During a winter storm, I zipped myself into rain gear and let the wind blow me around Charleston’s Battery. I spent weeks planning my route, measuring the distance between lo- cations in my novel, deciding how to make them interesting to potential readers, and coordinating the publicity that would make my story a com- mercial success. I prepared myself physically. I studied every detail of the terrain. I had the most supportive husband alive. When morning dawned, my book would have its official birthday, and my father would celebrate with me. thing else. Certified public accountant? It left no room for creativity. Managing a multi-million dollar company? I decamped with the beginnings of an ulcer. At forty- four, I was a decade into my third career as a management consultant. The 2008 crash shriveled my earnings from six figures to under $10,000 in less than twelve months. I woke up at mid-life, the peak of my income potential, with no clients and no prospects. No one was hiring, especially when the applicant was a middle-aged Southern woman. If I excelled at anything, it was failure. I launched my walk online to thousands of readers as a public dare to myself, to prove I could do something audacious. Life-long doubt assailed me. What if I couldn’t finish? Or nobody read the book? 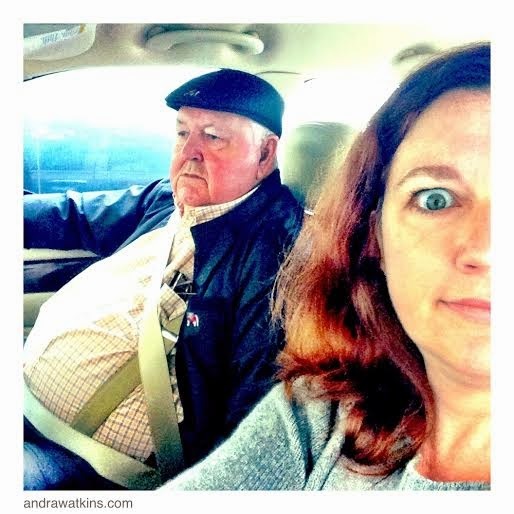 If Dad and I couldn’t stop fighting, what would I do? I couldn’t answer Miss Ethel through the obstruction in my throat. Instead, I fingered wooden arms and studied carpet patterns. In another room, a clock marked Time. I rested my elbows on my knees to halt the spin of the room. A new Roy story. One I hadn’t heard five bil- lion times. Which meant I was even more miraculous. How many people made nothing of the miracle of Life? Life had to smile on me, because I was trying to make something of the miracle. “Dad!” I hurried over and stood between him and Miss Ethel. He talked through me while I pried him from the chair. I forced him to say goodnight and herded him along the starlit walkway to our shared suite. A breeze rippled the bed canopy as I listened to him use the toilet with the door open and swab a brush across browned teeth. The bed protested when he climbed between the covers, and a wet chorus of breathing sounds started less than a minute later. On the last night of February 2014, I lay in the dark and tried to obliterate the noise of my sleeping father. “Your dad’s going to be okay, Andra.” Alice’s voice penetrated the murky room. “But he’s excited about this adventure. I can tell from watching him. telling stories and yelling at each other. I thought about Miss Ethel’s breakfast ritual. The morning meal at Hope Farm always happened at 8:30am sharp. While we sipped coffee and nibbled bacon, Miss Ethel wove yarns that bested any storyteller in the room. Even my father. She entertained everyone all through breakfast, fol- lowed by a mandatory tour of the house. Miss Ethel’s rules.